H.E. 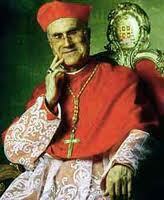 The Lord Cardinal Tarcisio Bertone, S.D.B. Vatican City, 12 January 2013 (VIS) - Cardinal Secretary of State Tarcisio Bertone, S.D.B., celebrated Mass this morning in the Chapel of Mary Mother of the Family in the Governorate Palace of the Vatican to inaugurate the 84th judicial year of the Tribunal of the Vatican City State. "We would like to invoke Divine Wisdom," the cardinal said, "for the delicate and serious task of administrating justice." He then greeted, among others, the President of the Tribunal, Giuseppe Dalla Torre, the judges, the promoter of justice, and the various workers in the administrative office, relaying to them "blessed greetings from the Holy Father who follows your appreciated labour with attentive interest." Commenting on the Gospel reading that focused on St. John the Baptist, the Secretary of State emphasized that the prophet's example and witness are "a summons to believers so that they may set aside attention-seeking, their wanting to be seen, thus reducing their own ego so that the love for Jesus might grow in each of us and in others. He is the Way the, Truth, and the Life. This attitude requires humility of heart, which is a gift from God that we must unceasingly ask for in prayer. This is why the John the Apostle, whom we listened to in the First Reading, … recommends confident prayer to the Father who, if the one who asks is ready to do His will, will grant their request. We also ask and pray for our brothers and sisters, so that they might not remain obstinately in evil and thus refuse conversion. 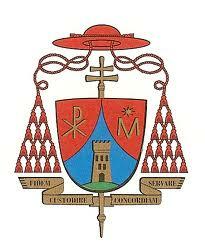 Mutual prayer acquires the value of an exquisite act of charity. St. Paul also recommends several times that we pray for one other and Jesus prays that Peter, after repenting, might confirm the faith of the other apostles." "In this Mass our prayer community turns to the Lord so that each of us might carry out our service in the administration of justice toward our unique community of the Vatican City State with humility and in truth. I wish all of you who are participating in the inauguration of the judicial year in various ways, to be able to grow in the awareness that harmony, justice, and peace are not fully achievable without dedication to God and acceptance of His grace. Each of us is also invited to an informed openness to the Transcendent, which the Holy Father recommended to the members of the diplomatic corps accredited to the Holy See a few days ago. He affirmed that without such an openness, 'humans easily fall pray to relativism and thus find it difficult to act justly or to commit themselves to peace'," the cardinal concluded.